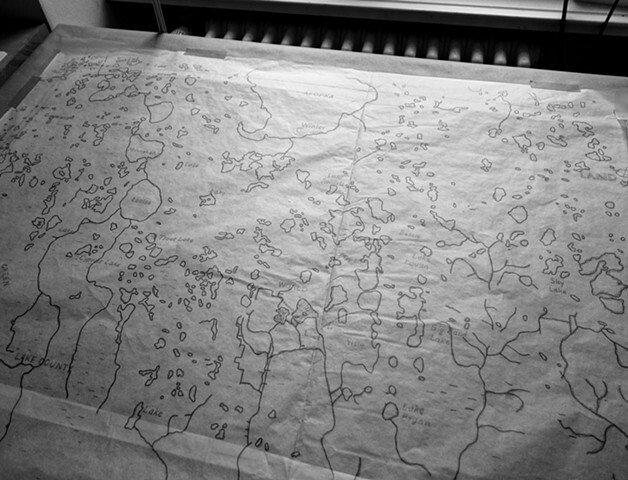 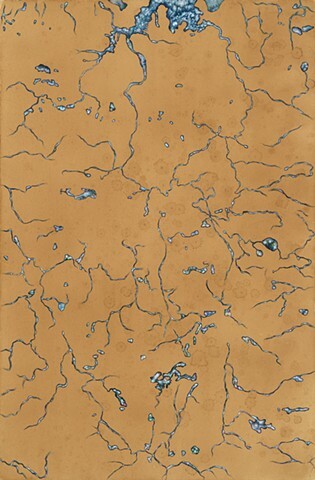 36"x 24" or 24"x 36"
“Water, Is Taught by Thirst” series was created by tracing waterways from topographical maps. 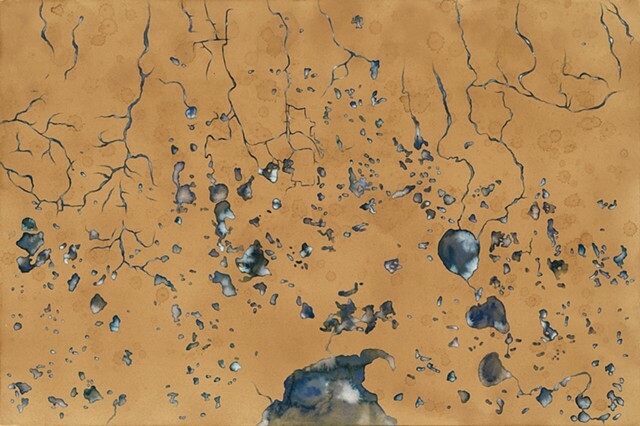 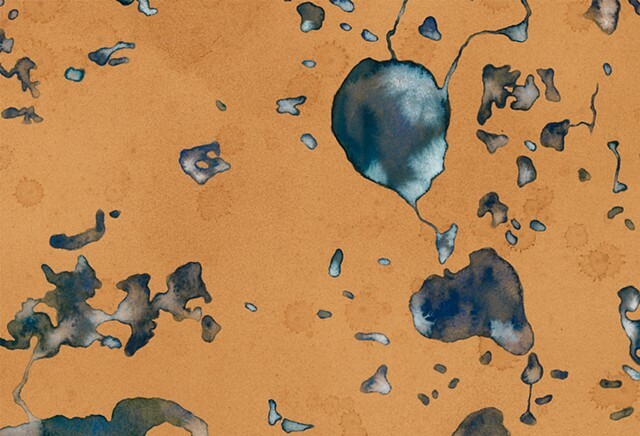 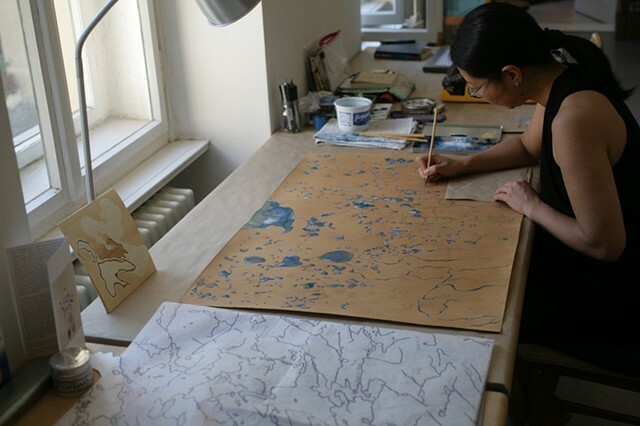 In (BLUE) series, the waterways are painted in mineral pigment and watercolor on paper that was first stained with tea. 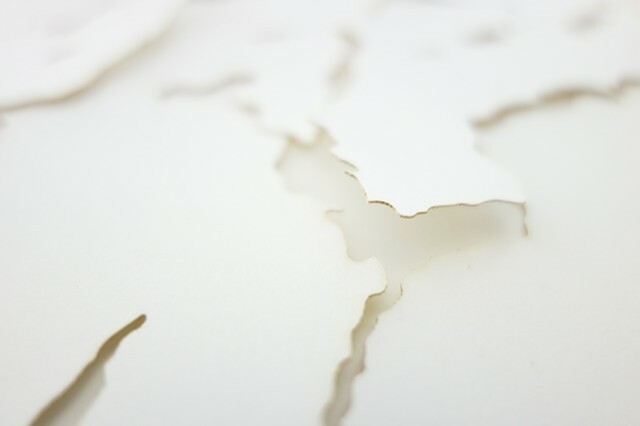 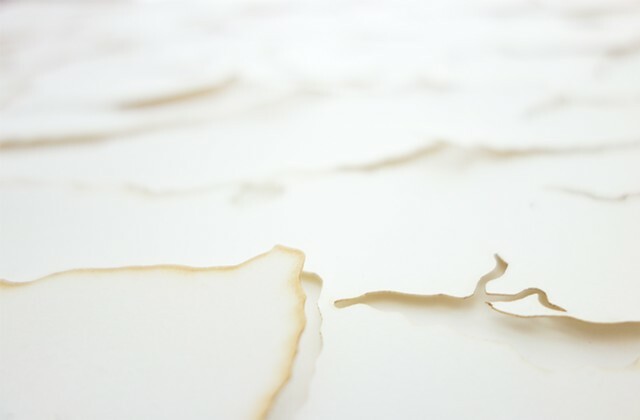 In (WHITE) series, the waterways were cut by laser-cutting, leaving behind a crackled, sculptural terrain with a hint of singed edges. 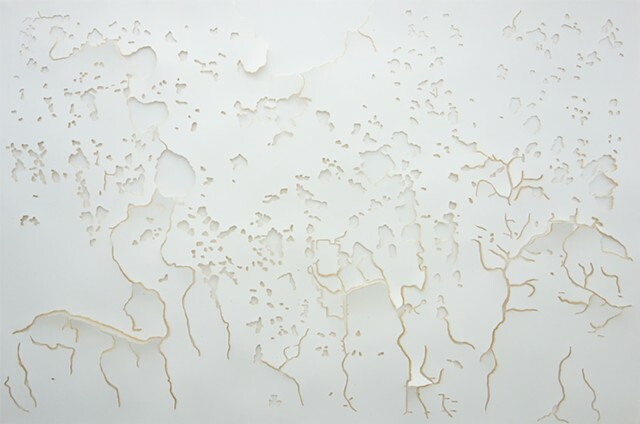 The resulting work is serene and evokes the loss. 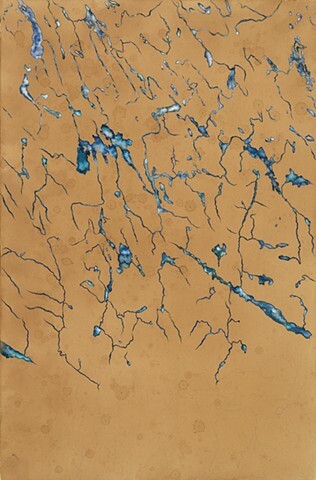 The title, “Water, is Taught by Thirst” is borrowed from Emily Dickinson’s poem. 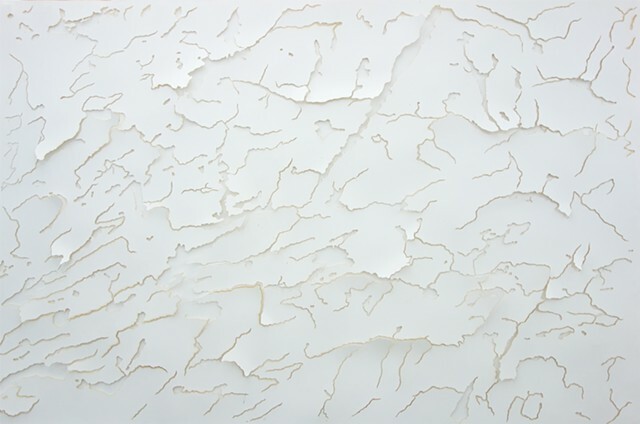 "Her more recent musings on water have generated a different kind of work, more reverent, perhaps. 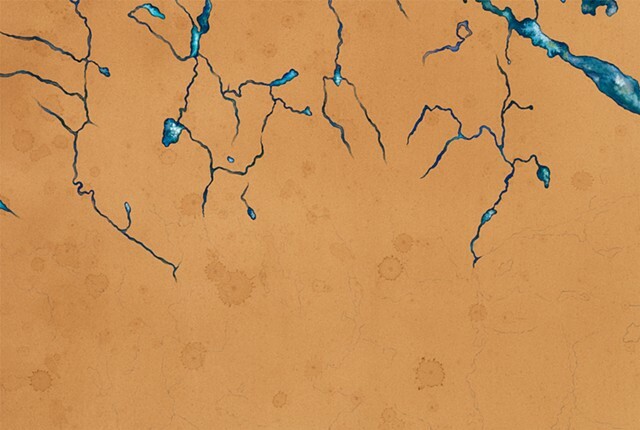 Feeling more like an homage to this thing that she loves—water--without losing her critical eye on the complexities of the substance in our increasingly globalized world. 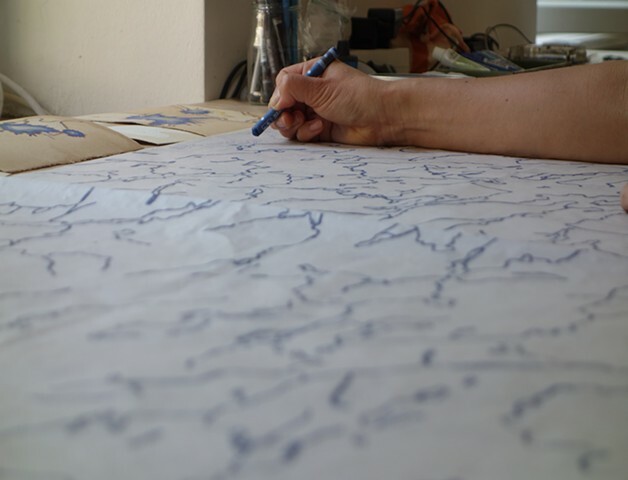 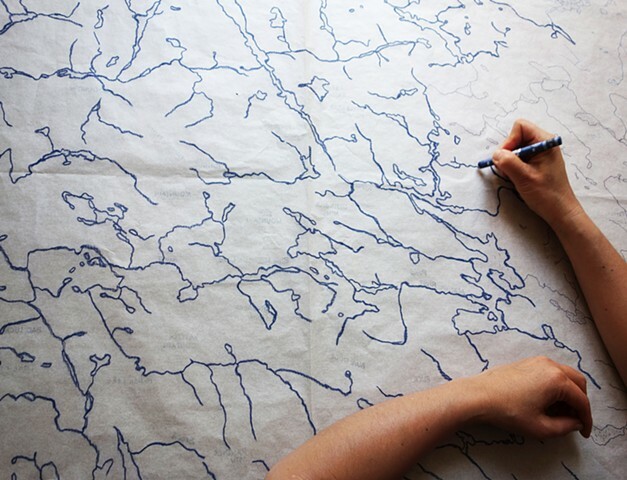 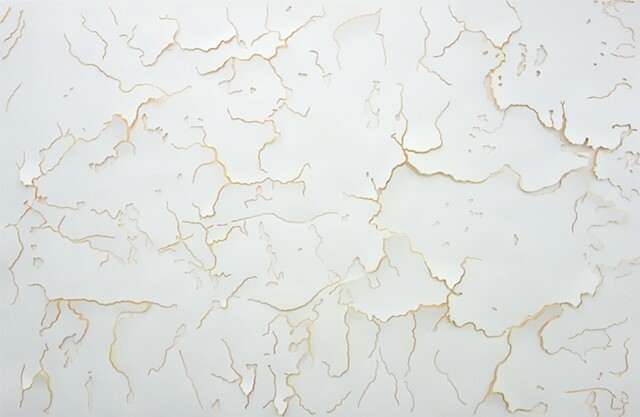 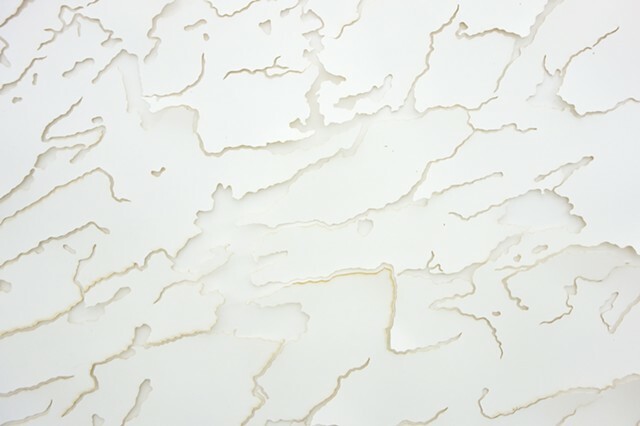 Water, Is Taught by Thirst was created by tracing waterways from maps of central Florida, Greater Boston, and the Adirondacks and then laser-cutting the paper so that the waterways are removed, leaving behind a crackled, sculptural terrain with a hint of singed edges. 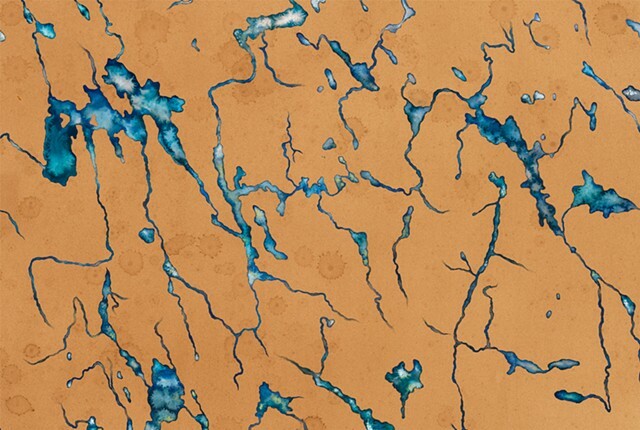 Without knowing the source material, the topography could be Arctic ice flows or even muscle or nerve patterns, but this time the outcome is serene and unfettered, seemingly created with deep fondness and admiration."